Scaper's Green has high nutrient concentrations and quick nutrient availability, which make it exceptional for your aquarium plants. The nutrient ratios have been chosen so that the plants take in all micronutrients in nearly equal proportions. For that reason, even with long-term, constant application there is no detrimental accumulation of individual nutrients. Appropriate dosage and use of Scaper’s Green can also circumvent micronutrient deficiency. 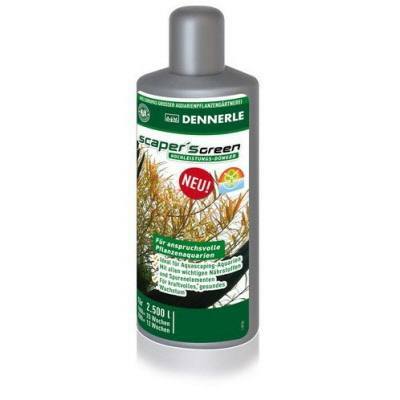 Like all Dennerle liquid fertilizers, Scaper's Green is extremely stable, resulting in enduring, constant effects. In some other fertilizers, the active minerals break down rapidly, which can be recognized as a dark brown discoloration, and lose their effectiveness.